Five years ago this month we took our beautiful boy to what we thought was a specialist NHS unit. He drowned in the bath 107 days later. No one should die a preventable death in the care of the state. Learning disabled people should not die on average twenty years before their non-disabled peers. Families should not have to fight for answers and accountability. They should not have to raise funds for legal representation at a time of unspeakable grief and pain. Southern Health dug deep into publicly funded pockets and armed itself with a range of legal weaponry and dirty tricks. 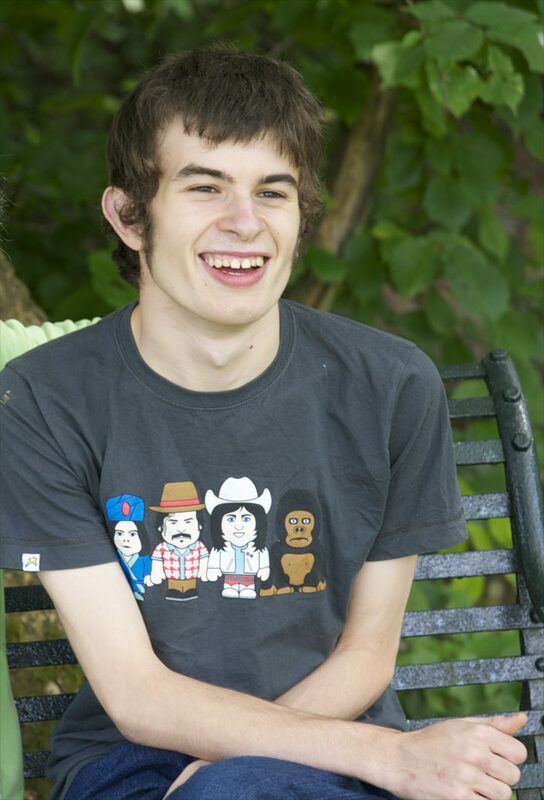 The #JusticeforLB campaign has shone a light on systemic failings in the care of learning disabled people. We have collectively and effectively revealed weaknesses in regulatory practices, a disregard for the lives and deaths of certain people and the limitations of work by large established charities in this area. We appreciate Dr Nick Broughton’s recognition and acknowledgement of the failings that spread across five years under Katrina Percy’s leadership, and his heartfelt apology for these. We thank the HSE for their meticulous and sensitive investigation and everyone who has stood alongside us fighting for what is right and just. I’d reply ‘I don’t know matey but we’ve done you proud’. Sorry it took all this for them to see their faults. As a support worker on minimum wage even we know you dont leave anyone with epilepsy in a bath on their own. That ‘nurse’ needs sacking right now. Disgusted that they lied to cover things up and also with they way they treat families. I no longer support the NHS in the state theyre in, they need to get consultants in to streamline work & make proper written policies & procedures which focus on the ‘must be done’s. And then….You lie, you pay for your lies. The judge saw them. It’s only money though, not a beating heart. That’s how Connor’s family has paid for this mistake. There’s no price on that. Laughing Boy will live on in your hearts & in the things you do, when you think of the things he’d say. RIP Connor, I so wish I’d had the pleasure of knowing you. You kind of got some justice in the end. You were always worth more than they’ll ever be. Sleep tight young man. Well done for your tenacity in the midst of all your grief and the awful treatment you have had. Saying well done and thanking you for everything that you’ve done for everyone else feels wrong here – this is about Connor and he would have been so proud and thankful for everything you’ve done. You’ve lost a wonderful boy and that hole will never quite be filled. But you really have made a huge difference for everybody – your courage and determination in the face of huge adversity have been hugely inspirational and will bring about change – I would like you to know how much others appreciate all that you have done. Laughing Boy will never be forgotten. Thank you for your endless pursuit for justice and a public recognition of the failings of Southern Healthcare. Sara’s dedication, transparency and honesty in the face of an organisation that employed tactics tantamount to bullying is testament to not just her love as a parent for Connor, but also as her voice on behalf of those unheard, that have been incarcerated or have died in the care of a faceless authority. Change is desperately needed across the country. Sara has shown that she and her family are not alone, hundreds of howling relatives for the uncounted, the undocumented. It’s my hope that she’ll inspire a positive change, helping to create truly user-focused care that results in life expectancy akin to those without learning disabilities, that results in less family destruction, that results in a true compassionate health care provision. In the meantime, my (along with the countless others) heart and thoughts go out to Sara and her family. Connor’s legal rights have finally be asserted. I’m sad that it wasn’t about the fact he had to load the dishwasher, as he always asserted he wanted to get his lawyer involved about his contribution to the household chores. That post made me giggle – just the sort of thing my son, who has ASD, SLD and epilepsy would say! I’ve followed this case from the start and my heart – every bit of me and every organ in me – weeps for Sarah and the family. When my son was referred to an ATU at eighteen, I was terrified – because of what happened to Connor. But the dishwasher comment made me giggle. My son phoned 999 to announce a crime because his friend was made to ‘eat the crusty bits of her toast’ by her father. Same sort of thing! Dominic said everything I would want to say but will add a few words. There is a sense with this bright light shining on a momentous verdict that change has taken place. The first time in the history of humankind, people with learning disabilities might, just might, be regarded as equals, not as people to pity or people who aren’t worthy of the same human rights as other citizens. There has been a nod at human rights and equality, yet we know from those avoidable deaths taken to inquest it’s all written on paper but in practice there hasn’t been any change. When a provider admits to robbing a persons human rights, knowingly leaving people exposed to risks of serious harm and death, denying them their rights to have their health needs protected, as though lives don’t matter much at all, Connor’s legacy must be protected. We need to see what happened to him for what it is, a serious criminal offence of manslaughter. In any other walk of life the guilty would be standing in court, not left to drift off in silence. We should forever remember that it was Connor who paid the ultimate sacrifice. Congratulations on this bitter sweet accomplishment. So sad that you had to lose such a beautiful boy. My heart felt condolences to you all, from a mother who knows the ongoing pain. Rest assured Connor will never be forgotten. A special young man, whose death will now hopefully prevent the deaths of so many more. I am so moved by this final twist in the campaign to shout out the injustice of Connor’s loss. Having a nephew with similar disabilities your unrelenting challenge to corporate negligence,deceit,arrogance, in order to defend the lives of patients in the future – this result is so important, a massive step forward. My students and colleagues have shared with passion the urgency of the campaign; I am now retired but I always believed that your tenacity Sara,would create the change we all knew was necessary. Today’s news is truly remarkable, congratulations to the whole team, warm wishes to to you and your family and Connor will always be someone I feel I have known a little through you. I’m so, so sad for the totally avoidable death of this young man and my thoughts & prayers go out to his parents & family. As a parent of young man with similar issues & disabilities, my wife & I are only to familiar with the fights & battles you have to wage against health & social care bodies & being prepared to take them. This stituation should NEVER HAVE BEEN ALLOWED TO HAPPEN – and if I hear the meaningless expression ” LESSONS WILL BE LEARNT ” pass the lips of yet another public servant/ spokesperson I will scream. This is manslaughter and the people responsible are culpable and should be prosecuted & treated with the full strength of the LAW. It is time this so called public servants were made an example of – not just given a slap on the wrist! have are employed to provide. It should not be the families & parents to pursue these cases – it should be the police & the courts! Sara, you have a done a wonderful job….many congratulations. It isn’t just those with LD…..who die avoidable deaths, which are covered up. And the PHSO is a such a useless organisation.